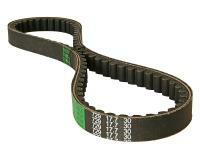 Replacement drive belt suitable for vehicles with 12” wheels. Standard CVT Drive Belt by 101 Octane Scooter Parts found in many Chinese four stroke 4T 50cc GY6, QMB139, QMA139 scooters. See application list for a full range of models. Please measure your belt and check markings for proper size prior to ordering. 101 Octane GY6 50cc scooter replacement parts. Made by 101 Octane these are Universal parts for scooters GY6. Generic plastics and body plastics for scooters. 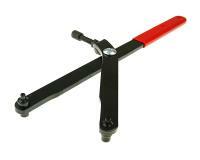 101 Octane are high quality GY6 parts and accessories. You can buy with confidence for 101 Octane is one of the best parts brands we offer. Please see application list of QMB139 50cc GY6 scooter brands before ordering. Found in many scooters including: Tao Tao, Roketa, Tank, ModCycles, Baccio, Verucci, Vento, Yamati, Powersports Factory, Xtreem Scooters, QJ, Boatian, Zongshen, ZNEN, Jonway USA, Wussi, Strada, Primo, Ice Bear, PeaceSports, Terminator Scooters, Baja Powersports sold by Pep Boys Auto, Lifan, Fiji Scooters, Taj 50cc, Avanti Scooters, Redstreak Scooters, Prima Scooters, Lifan, Kinroad, TNG Scooters, Diamo Powersports, Schwinn, Spigaly, American Sportworks Carbide / Quantum, Spigaly, Trip Sports, Bravo, Panterra, Freedom, Baja, JMstar, Lance, NST, Alliance Powersports, and more.